CARFAX One-Owner. 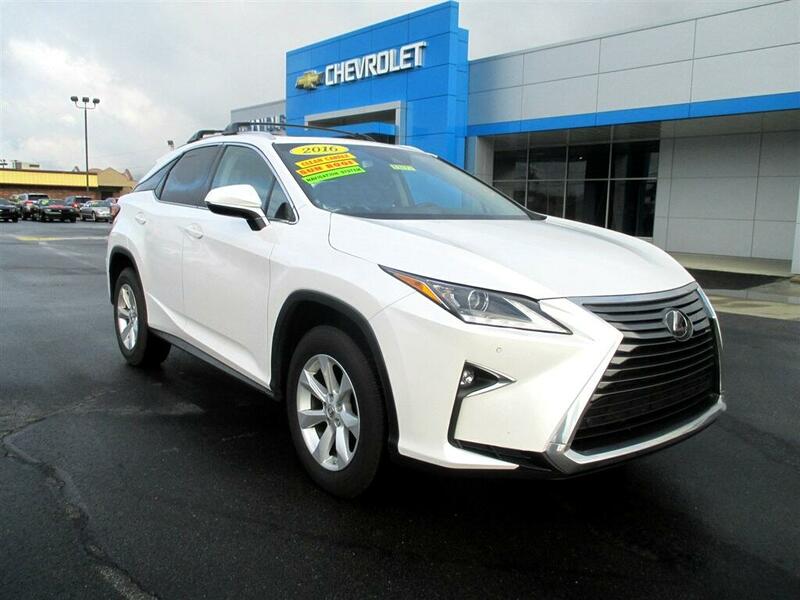 Eminent White Pearl 2016 Lexus RX 350 AWD 8-Speed Automatic 3.5L V6 DOHC 24V AWD - Never Worry About the Weather Again!, 6cyl - Unbelievable Pick-up!, RX 350, AWD, Eminent White Pearl, Alloy wheels, Power Tilt & Slide Moonroof.Recent Arrival! 26/19 Highway/City MPGAwards:* 2016 KBB.com 5-Year Cost to Own Awards * 2016 KBB.com Best Buy Awards Winner * 2016 KBB.com 10 Best Luxury SUVs * 2016 KBB.com 10 Most Awarded Cars * 2016 KBB.com Brand Image Awards * 2016 KBB.com Best Resale Value AwardsTEXT us on our website. It's easy and no-hassle. Give us a chance to BEAT THEIR PRICE on a new vehicle! Request a quote at chandlerchevroletusa.com! Chandler Chevrolet is conveniently located in Madison, Indiana, near both Louisville and Cincinnati. We put our customers first. If you don t see what you want, new or used, we will locate it for you. We welcome trade-ins and will buy your vehicle whether or not you buy ours; come in for a free, friendly appraisal. Don t have a way to get here? We will come to you or give you a ride. We believe that building good relationships with our customers comes before all else, whether you're considering a new or used vehicle or stopping in for a quick oil change. Call or stop in today and see why we re called The Savings Place !